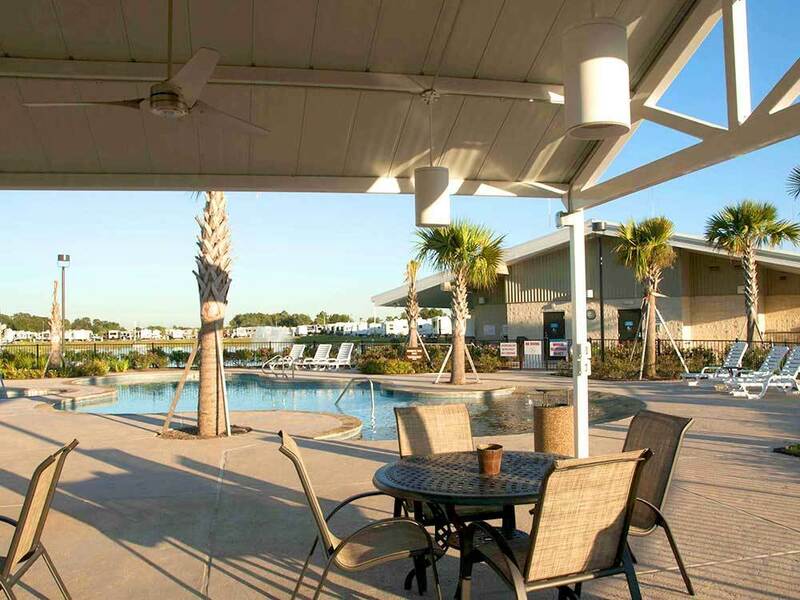 Fallbrook RV Resort is a 5-star residential RV Resort sporting a sparkling swimming pool & Jacuzzi, a broadband-connected computer room, professional-grade laundry facilities, exercise equipment & so much more. Facility is well kept. Recreation room and swimming pool are very well maintained. Grills have always been very clean when I used them. Bathrooms (Men) are super clean considering how much traffic goes through them on a daily basis The onsite managers respond quickly to any concerns I have had. They are respectful and fair. The guy that cleans up the resort at night has also been friendly and helpful. There is an occasional guest or relief manger that make things not so great, but for the most part this is a great place. We are so pleased that you are having such a wonderful experience. It is always nice for the Managers and Housekeeping when their efforts are recognized. Thank you for sharing! !